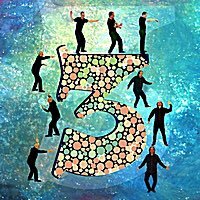 Chicago | 312-346-3500 | 35 W. Wacker Dr.
Naperville | 630-717-3500 | 35 S. Washington St.
Love Catch 35’s live jazz venue then check out the album “3” by Bradley Williams and Eric Hochberg now available to download on iTunes. Steve has been gracing Chicago stages for over forty years with his fiery brand of virtuoso musicianship. Among the countless performers he has appeared and recorded with are Aretha Franklin, Dr John, The Beach Boys, Ides of March, Al Kooper, The Four Tops, Johnny Winter, Styx, Commodores, Ramsey Lewis and Chevere de Chicago. Dave has been a fixture on the Chicago jazz scene for many years and has lent his unique style to the recordings of Kurt Elling, Terry Callier, and many others. His teaching credits include Columbia College, Roosevelt University, Old Town School and Interlochen Arts Academy. Ari is a Chicago treasure! An integral member of many classic Chicago-based ensembles including the AACM and Ritual Trio, Ari brings great power and warmth to every bandstand. Ari toured for many years with jazz legend Elvin Jones and currently can be heard with the Chicago Jazz Philharmonic and his own quintet. A Catch 35 “must hear”, Dee is an internationally acclaimed performer. The New York Times called her appearance at the 2013 Newport Jazz Festival “one of the year’s 10 best”. Dee also hosts the nationally syndicated “Sunday Jazz with Dee Alexander” on Chicago’s WDCB Radio. *Special guest lineup may change without notice. You can call the restaurant at 312-346-3500 to check the lineup. 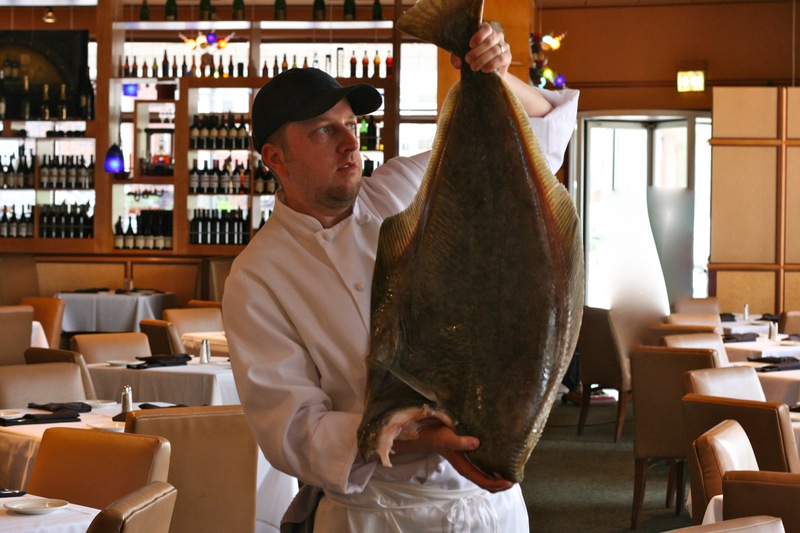 Celebrate Fresh Alaskan Halibut Week at Catch 35! We are kickin off the season with a few specials available for a limited time. Fried-Grilled-Steamed specials all day, every day during Lent. 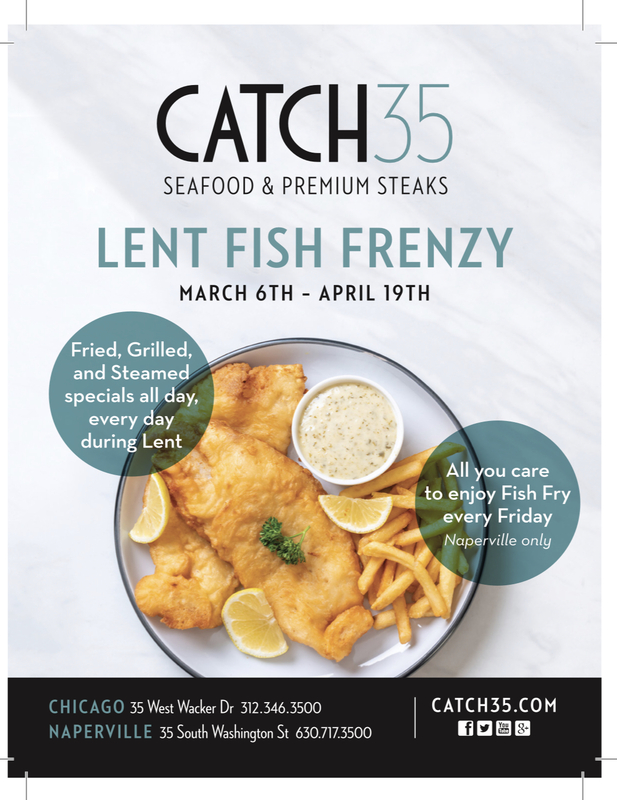 The jazz lounge at Catch 35 Chicago has become a popular destination spot to hear great music while enjoying drinks and food around the Catch 35 Jazz Lounge and Piano Bar. 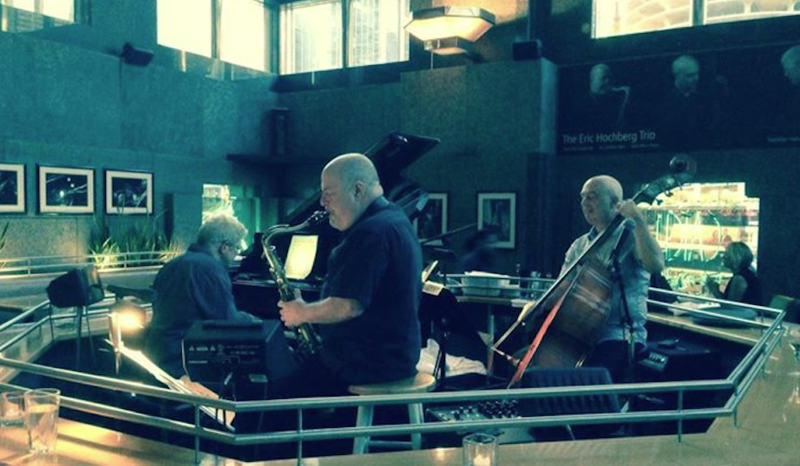 Also, our lounge features an ever changing roster of critically acclaimed jazz musicians from all over the U.S.
Catch 35 Chicago features live jazz Tuesday through Saturday from 6-9 pm. So kick back and relax with night filled with Live Jazz Music, Fresh Seafood, Premium Steaks, and Kickin Cocktails! Catch & Carry, Mon. - Fri.
Get a chance to win a $50 gift card!